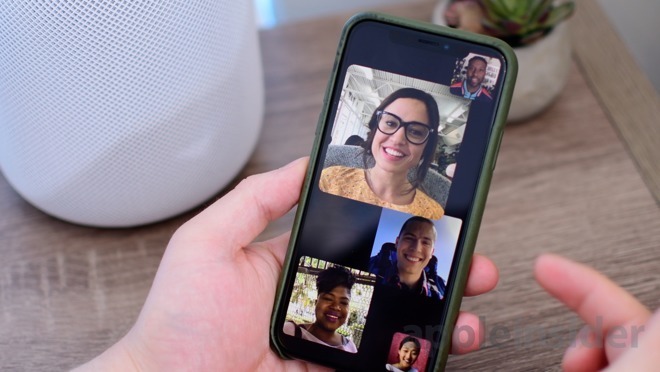 Apple has provided public beta versions of iOS 12.1 and tvOS 12.1 for testing, just two days after it released the first developer builds in the new testing cycle, with the iOS beta returning Group FaceTime to public testing. The initial public beta releases are available to download by users enrolled into the testing program via the Apple Beta Software Program website. Functionally, the public betas should be similar in content to the most recent developer betas, which were issued on Monday. The main addition in the iOS 12.1 developer beta, which the public version mirrors, is the return of Group FaceTime, a feature that enables up to 32 people to take part in a video conference together, complete with support for MeMojis. While the feature was included in betas as part of iOS 12, it was removed before the final public release, with Apple intending to ship it in a later update. AppleInsider, as well as Apple itself, recommend against installing beta releases on mission-critical hardware, due to the potential for data loss. Those interested in testing the betas out should use secondary devices, and to keep backups of any important data before installing or performing updates.